Stable, secure and with advanced and user-friendly Graphical User Interface (GUI). This is how SWARCO's central interurban traffic management system presents itself. 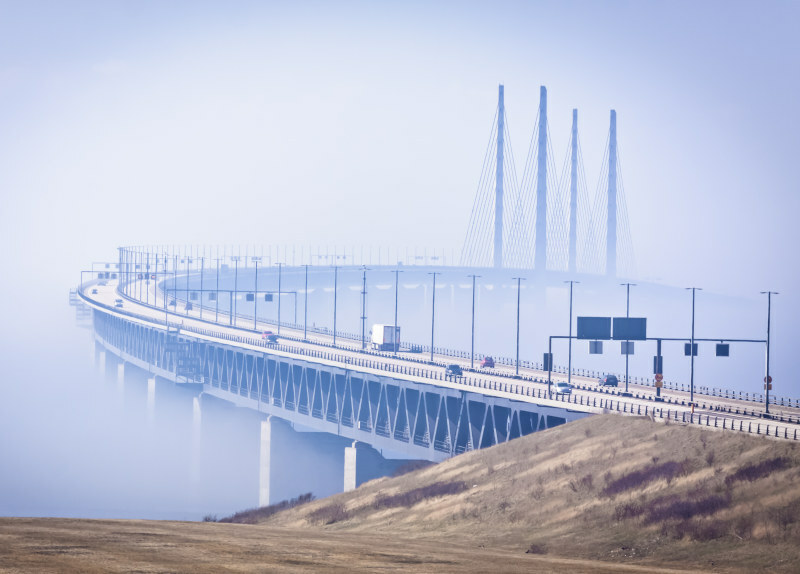 A first-class example of how it makes motorway and tunnel control easier and safer is the Öresund connection. The Öresund, the strait between Denmark and Sweden, can easily be crossed by car and train since the opening of the Öresund connection (Öresund bridge - island Peberholm - Drogdentunnel) in 2000. A new control system (PCMS - Plan Control Monitoring System) was to be installed in 2012 to control and monitor all systems, including the transport network. The companies that came up with the best solution: On the one hand AcobiaFlux as the project leader, and on the other hand SWARCO as the supplier of the innovative PRIMOS central system software. The central software is used for the integrated control of traffic control systems, hard shoulder releases, ramp meterings, road weather information systems (SWIS) and Weigh-in-Motion systems (WIM) as well as traffic control in and ahead of the tunnel. It collects and processes data from various sensors and data sources in different areas. The scope of services includes comprehensive data management with recording, archiving and a wide range of evaluation options, as well as a graphical user interface with an integrated operating concept. The modular design guarantees flexible adaptation to a wide range of requirements and environmental conditions. That is why the result is quite respectable. With SWARCO's solution, a stable and secure system with an advanced and user-friendly Graphical User Interface (GUI) is now in use at Öresund. A high-quality, future-oriented solution that is perfectly matched to the existing infrastructure - for example, the 145 variable message signs (VMS) that SWARCO installed at the Öresund connection in an earlier project phase.